If you have limited space in your bathroom, you definitely know how hard it can be to get the best out of it. Despite all this, there is some hope. You can enhance the look and practicality of your bathroom with a couple of smart improvements. The advantage of most of these upgrades is that they do not necessarily require a lot of investment. Check out these small bathroom ideas that will help you maximize on space. 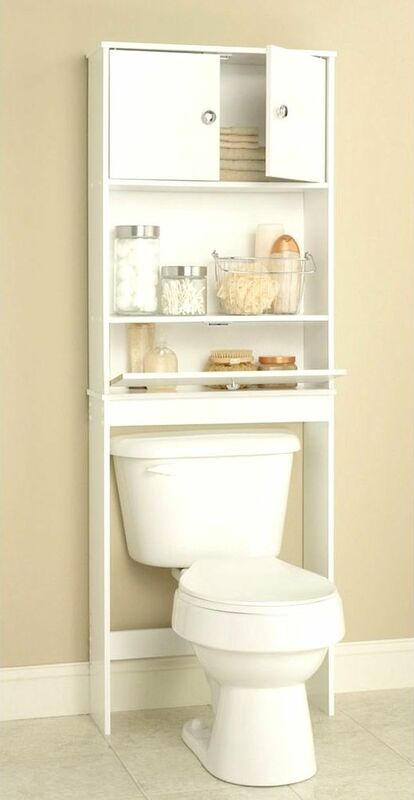 Even if you have a small bathroom, you still need to store all your bathroom items in an organized manner. Shelving is very important and you can use your walls to create some practical vertical storage. 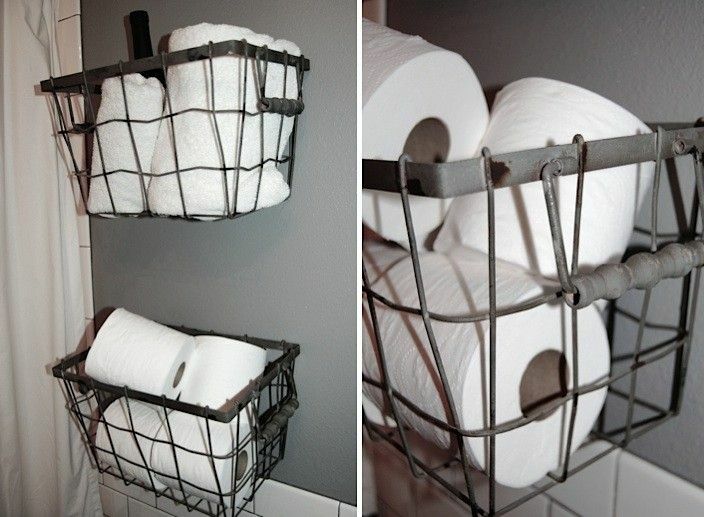 This will save you space and keep the bathroom decluttered. Most corners remain unused despite the fact that they can be used for storage. 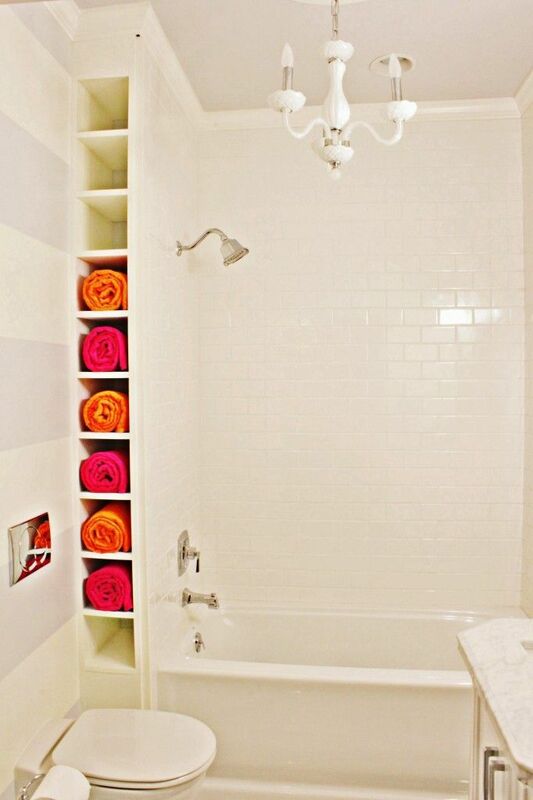 With some innovative carpentry, you can create elegant corner storage for your towels. This is an ingenious way of using space by creating a set of compartments. Conventional sinks can be quite bulky because apart from the sink itself, the drain plumbing can take up much-needed space. A small wall mounted sink with an in-wall drain can definitely help you save space. These types of sinks also come in elegant designs, which is a major plus. This refers to the ability to design a space in a way that minimizes all the shortcomings. If you have a small bathroom you could clad the walls with light-colored paneling, use shiny fixtures and modular fittings to give an illusion of space. Architectural distraction is a great way of minimizing all the shortcomings that arise as a result of limited bathroom space. If you need an affordable yet fancy way of storing your toilet paper, you could opt for a wrought iron cottage paper storage wall hanging. This is a simple yet effective way of saving space while still including a practical fixture in your bathroom. Even if you have a 7-foot by 6-foot bathroom, you can still make it look slightly larger and cozier by infusing bold colors in the interior décor. If you are able to combine the colors with some natural light or fluorescent artificial light, you can give your small bathroom a whole different outlook. This may seem like an obvious principle but many people overlook it. Try as much as possible to only have the essential items in your bathroom. By limiting the number of items in the bathroom area you will have more space for essential storage and to move around. A cluttered small bathroom can be rather suffocating. Including some graphic design to the walls or floor of a tiny bathroom can add some much-needed depth and dynamism. For instance, you could decide to have tiles with basket weave patterns for either your walls or floor. These designs will add some zest and vitality to your bathroom area. If you do not have patterned tiles you could include some pattern designs on your curtains, walls or storage areas to achieve a similar effect. A white color scheme is a great idea if you want to make your small bathroom appear to be large. White has an uncanny ability to give the illusion of space. This effect usually occurs due to the ability of the color white to refract and reflect light. Consider white for your small bathroom and add a vibrant roomy look. Glass is a great material because it does not absorb light thus it makes small spaces feel more spacious. It also refracts light, adding a glossy effect which is quite eye-catching. 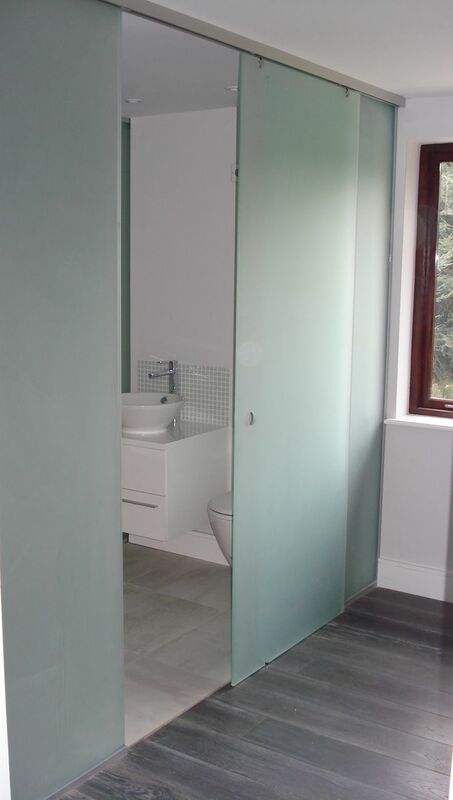 If you have a small bathroom you could consider glass for your shower door, cabinets or even as a partition. One of the most efficient space-saving ideas is to install as many floating fixtures as possible. Hanging cabinets and floating sinks are some examples that can make you bathroom airier. The area of floor space will increase immensely and you could either add some storage space or leave the area free. If you prefer a bathtub to a shower, you may want to consider a freestanding tub. This type of tub can make your small bathroom feel larger because it allows light to flow easily through the space around it. It would be a good idea to measure the bathroom before so that it fits well and does not take up too much space. It’s always nice to have a specific spot for your toothbrush and toothpaste. 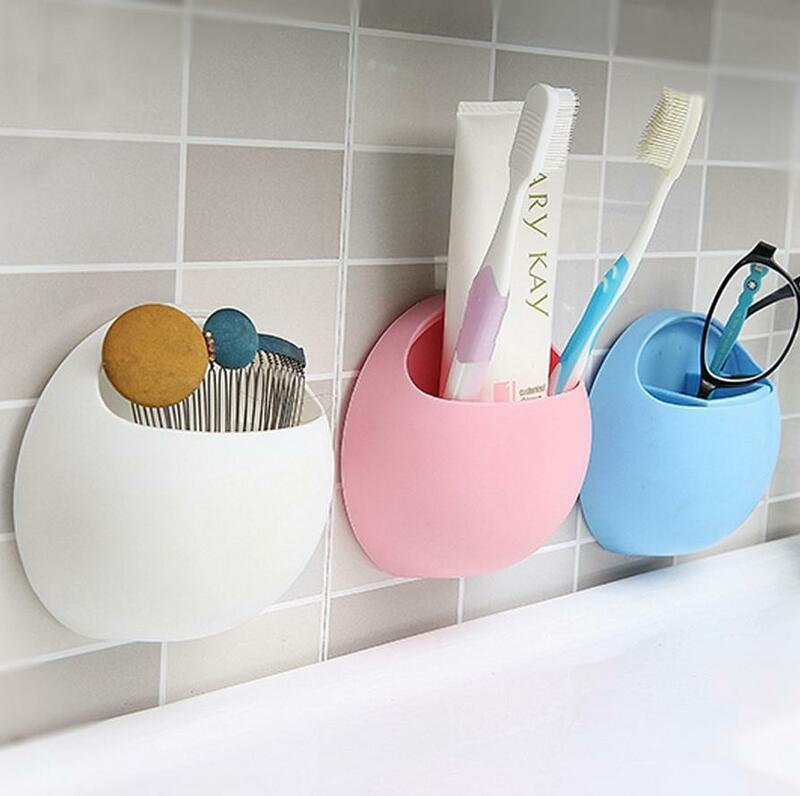 A great option for your bathroom is to install PVC a toothbrush holder which you could either buy or make yourself if you’re good with DIY projects. 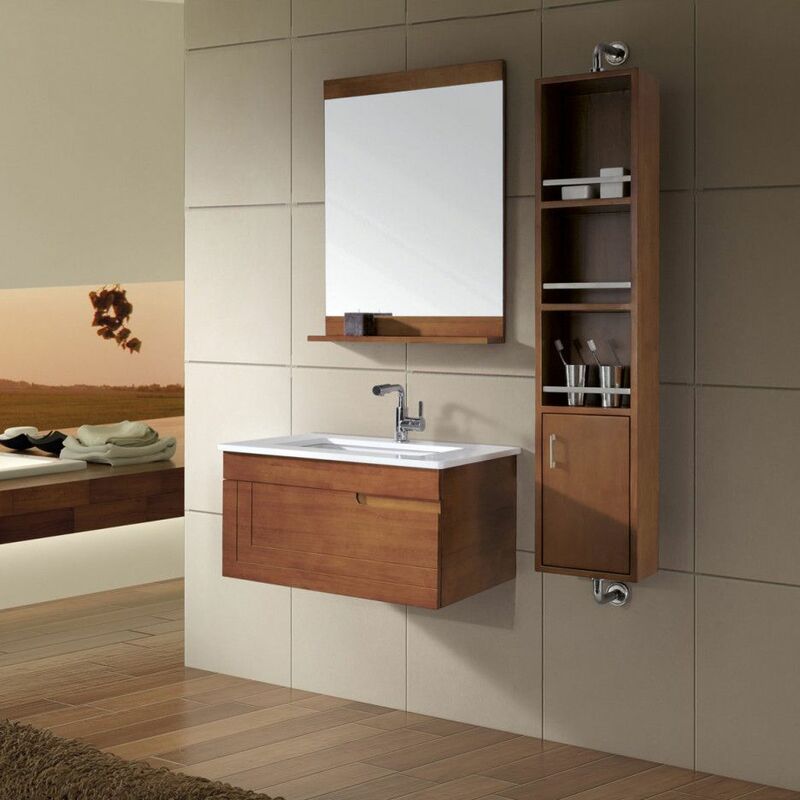 Any small space requires multifunctional furniture and a mirror cabinet is able to provide storage and functionality. You can easily store your medicine, bathroom supplies, and other items in the cabinet, and the door has a functional mirror which is a must in any bathroom. Mirror cabinets come in various sizes and you can even get a customized one to suit your preference. Vertical storage is very important in space management. In this case, a ladder that is leaned against the bathroom wall can act as an ideal fixture to hang towels. The great thing about this kind of ladder is that it does not take up a lot of space. If you do not have much space to accommodate a cabinet you could simply include seat which is both functional and elegant. It offers a warm place to seat and can be used to store items like towels or bathrobes. Ideally, it should be positioned within arm’s reach. If you have some floor space and you do not have sufficient cabinetry in your small bathroom, you may consider getting woven baskets. They provide sufficient storage space for items like towels, and they can also give your bathroom an elegant rustic look. In most interior spaces, the corner areas remain largely unused. By installing fixtures such as a corner sink or corner shelves, you will be able to maximize the limited space and make the room feel more spacious. If you have furniture in your bathroom, such as a cabinet or side table, it would be advisable to ensure that they have an open base. This will allow more light and make the room feel larger. It will also allow you to have some extra storage space if necessary. To save some space, it would make more sense to have a long slimmer sink instead of a wider one. You’ll be surprised to find that this minor space saving idea can save you much-needed space. 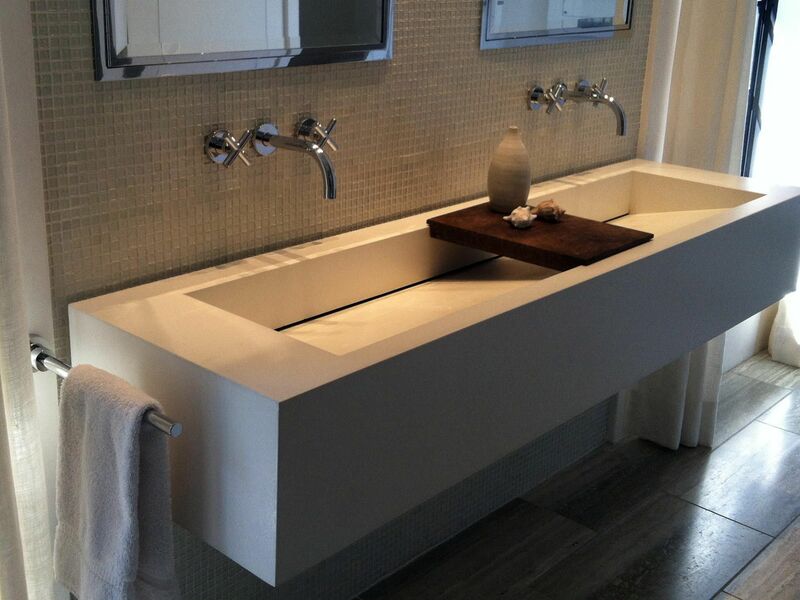 A longer sink can also give your bathroom an elegant look. In addition to its functional purpose, a mirror can also be used to give your bathroom an illusion of space. In most cases the larger the mirror, the better. If you have a bathtub, place the mirror just above it for the best effect. Cabinets often have a straight edge, which is okay, but having curved edges can soften the overall look due to the rounded edges. This may not be much of a space saving idea but it will definitely make your bathroom look slightly roomier. There’s nothing more practical than having furniture that has more than one use. If you have a small bathroom, the lack of room will necessitate the use of these kinds of furniture in order to maximize the available space. A good example is a cabinet that accommodates a sink at the top and storage at the bottom. You could also have shelves that have small compartments. We are so used to square or rectangular mirrors that we hardly consider any other options but if you have a small bathroom you should consider an oval mirror. When placed vertically, oval shaped mirrors look stretched and this subsequently makes ceiling seems higher and bathrooms bigger. Having a window that lets in natural light is a great feature of any room. If you have this in your bathroom ensure that you let in as much light as possible, which goes a long way in making your bathroom look less cramped. This look can be accentuated with a glass shower enclosure and shiny fittings and accessories. If you do not have a vanity in your bathroom, you’ll be surprised how practical a well-placed ledge can be, as a replacement. It can be installed below a mirror and used to place everyday essentials. This is a great space saving idea because it allows you to save much-needed floor space. Conventional hinged doors take up space when they swing open. A good spacing option is to invest in sliding doors. Since they have a parallel opening mechanism, sliding doors do not take up space and are ideal for bathrooms. You could use these kinds of doors for the main bathroom entrance or for the shower door. Adopting a minimalist approach is recommended even for shelves. Installing floating shelves is a great way of having a storage space without necessarily installing space-hogging closed shelves. Floating shelves also allow in more light for a roomier feel. 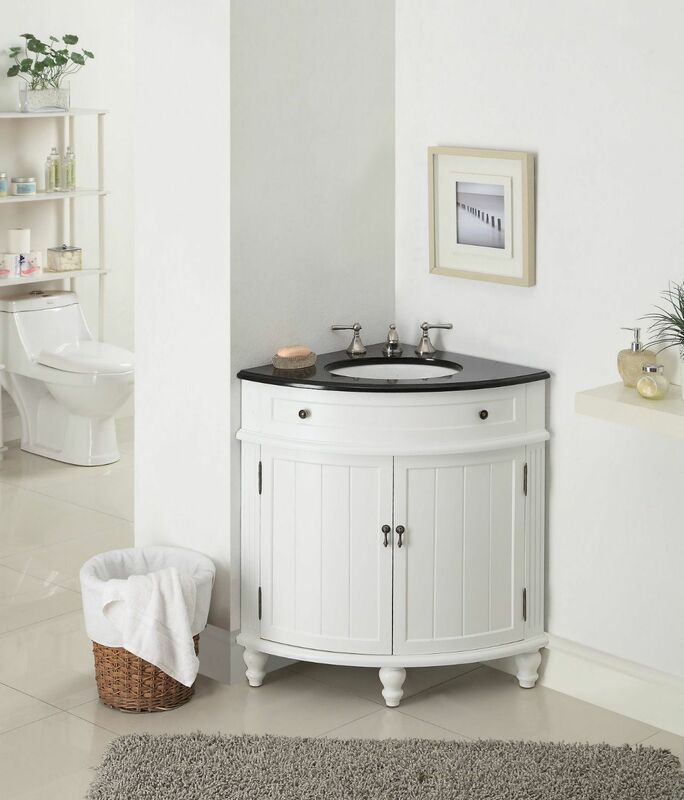 The classic pedestal sink is not just elegant; it can also help in creating the impression of a spacious interior. A white fixture is an ideal option if you have a small bathroom. 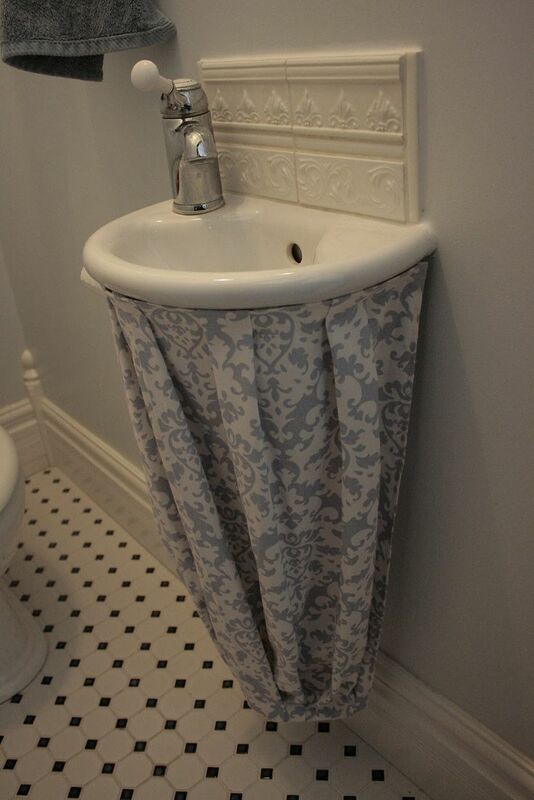 If you have a pedestal sink and you want to hide all the plumbing fittings underneath you can fix a decorative skirt rather than installing a cabinet. This is a simple method that you can easily do by yourself and it will not take up space. If you don’t know how to make the skirt you can find plenty of useful tutorials online. Since a neutral palette is recommended for a small bathroom, you can add a pop of color by including one or more pieces of art. For instance, if you have a white color theme, you could add a splash of color with a floral canvas wall painting. This basic art hack can greatly improve the overall look for your bathroom. It is okay to have some glossy fixtures in your bathroom. A good example is glossy acrylic-covered cabinets which can add a cozy feel to the space. To create a balance you could interchange between black and white gloss. When combined with the right lighting, glossy surfaces can offer quite an inviting look. 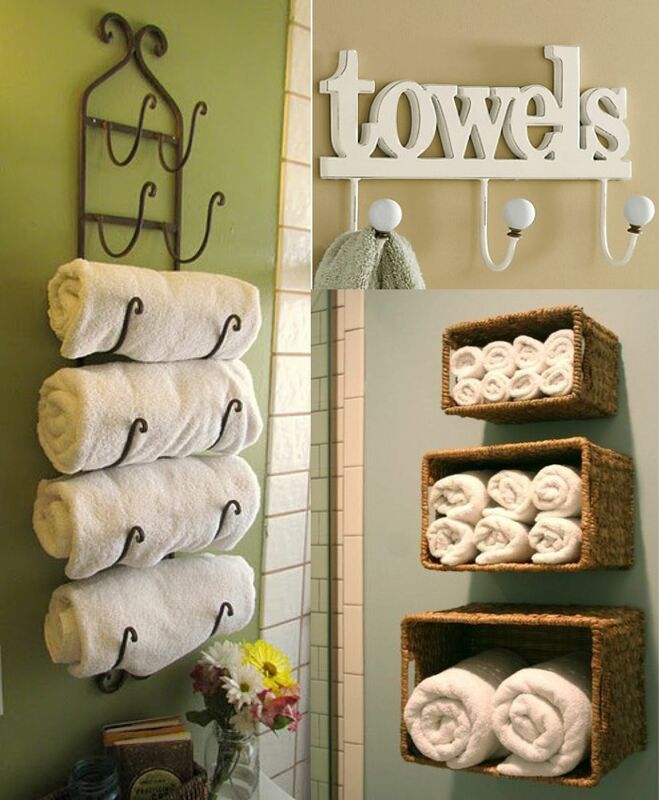 If you want to give your small bathroom a high-end look you can do so by installing high-quality towel holders. You can definitely impress with a set of chrome designer towel holders. Such small fittings can sometimes make the biggest impressions. You definitely need a place to store your bathroom supplies and for this, you can opt for a small cabinet above the toilet or any other free wall space. This is an ideal form of store-and-conceal. The bathroom is an intimate sanctuary that should be serene. 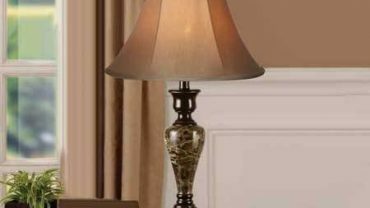 To achieve a cozy feel, you should incorporate soft lighting. The right lighting will have a positive influence on your mood once you enter the space. Try as much as possible to avoid harsh lighting which may not be too flattering on the bathroom décor. If you are in a romantic mood you could turn down the lights and light up some scented candles to create the right ambiance. Do not be afraid to experiment with new ideas from time to time.